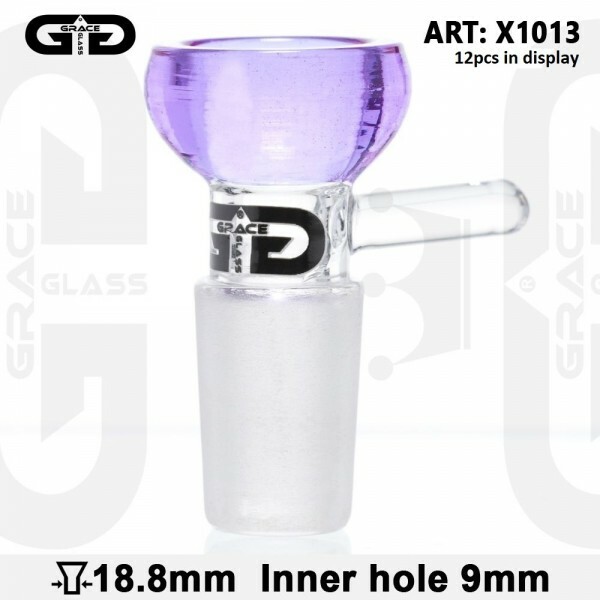 This Grace Glass Bowl with a sure ground of 18.8mm diameter and a 9mm diameter inner hole is an indispensable part of your bong. It has a handle that makes it easier to use, because you can lift it up and clean it at your convenience. It comes in purple color.